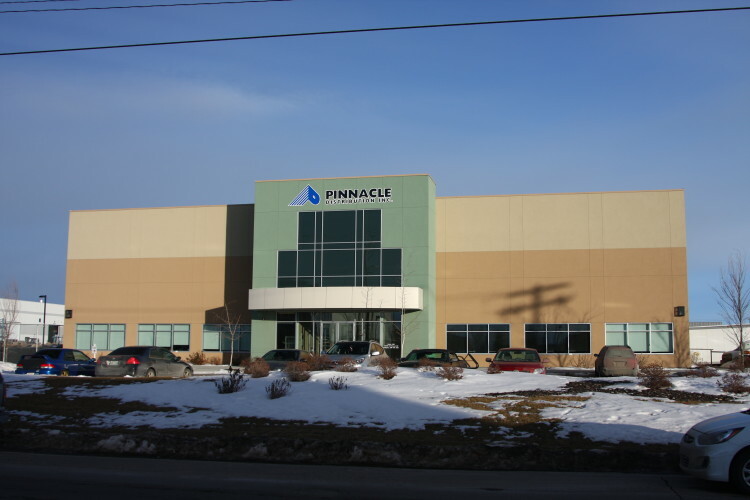 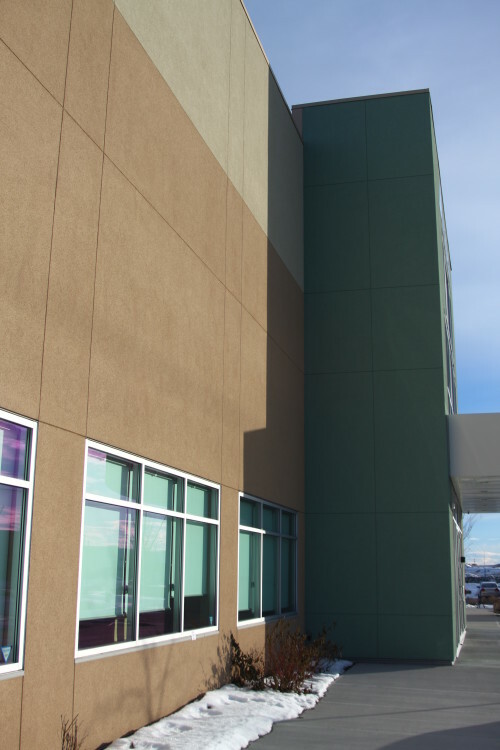 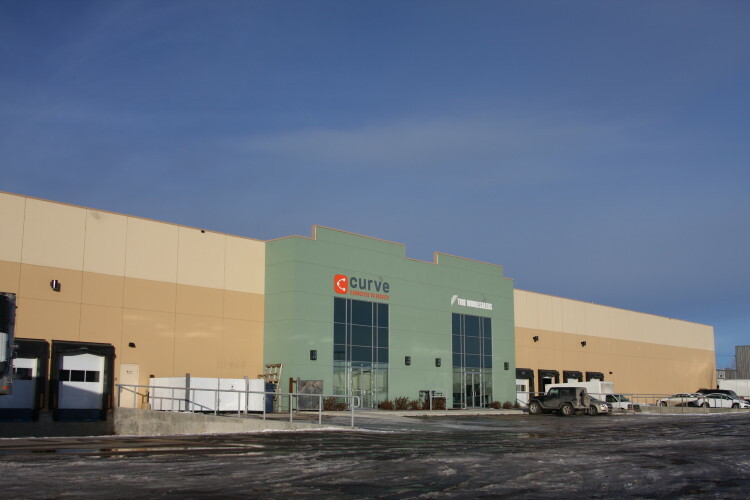 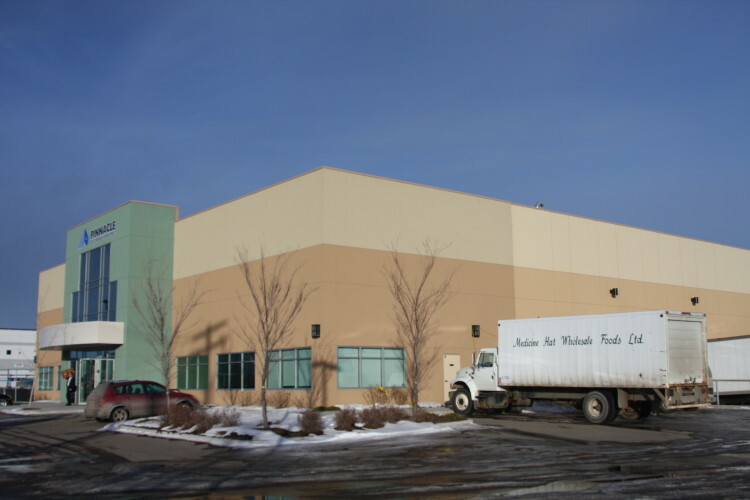 This warehouse and office building in SE Calgary was completed in Nov. 2011. 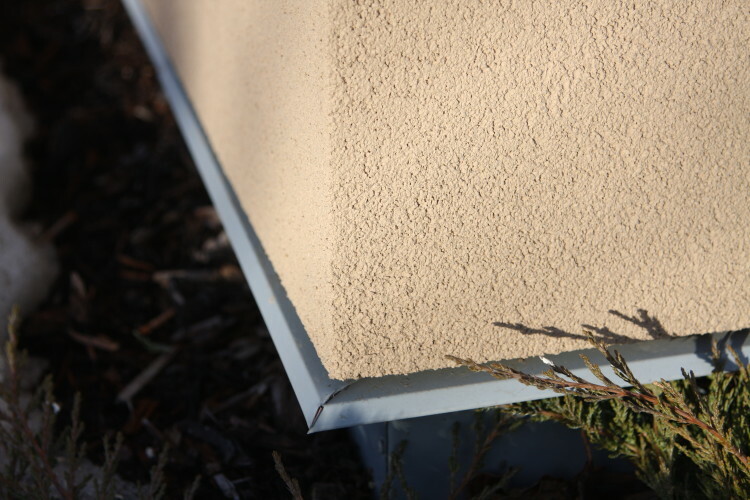 Three colours off acrylic stucco were applied on 2″ thick styrofoam. 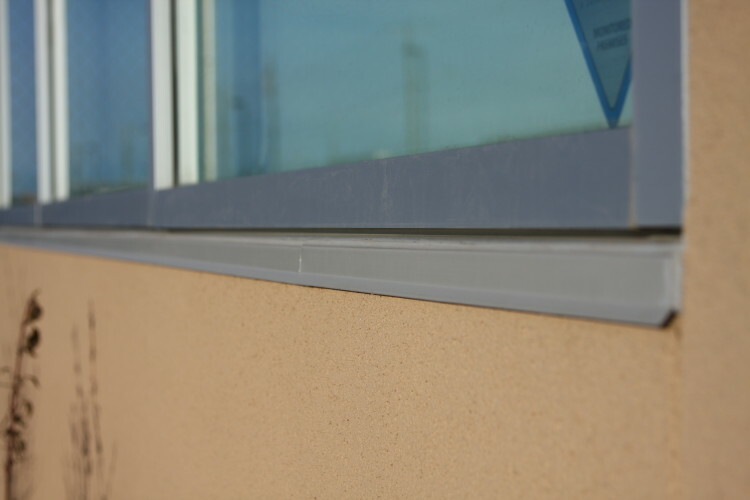 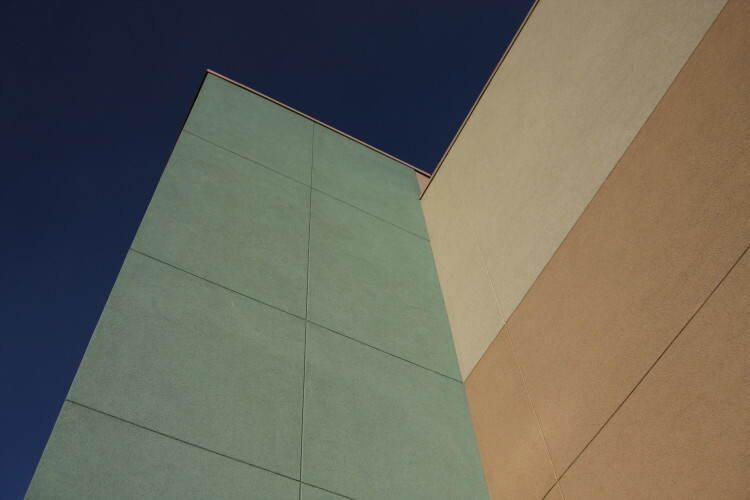 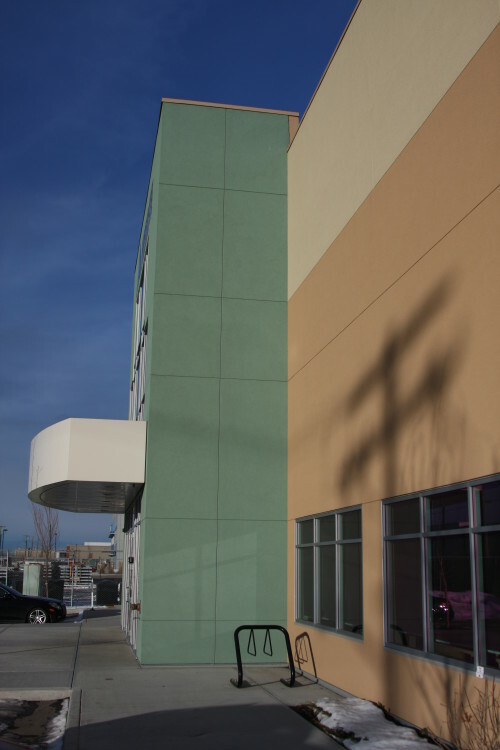 Beige fascia, silver flashings, and addition expansion joints were added to give the building a modern, corporate visual.